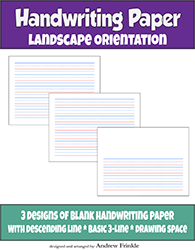 Here are 3 simple layouts in landscape (sideways) print format for practice handwriting! 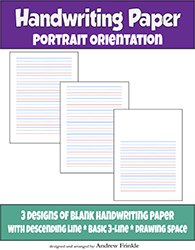 Here are 3 simple layouts in portrait (upright) print format for practice handwriting! 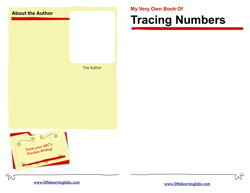 This tracing numbers booklet has the number 1-20 to practice tracing. 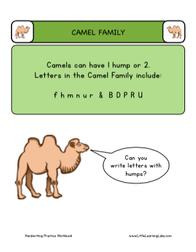 There are 10 copies of each single-digit number to trace and 8 copies of each two-digit number to trace. 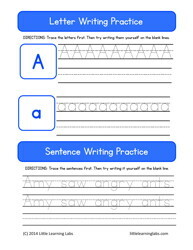 The light gray letters are easy to see, and students can practice tracing them in a variety of colors for visual interest. 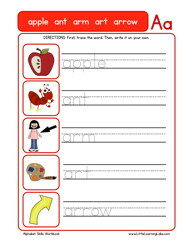 Students can also design their own covers and write about themselves on the back! Print the cover first. 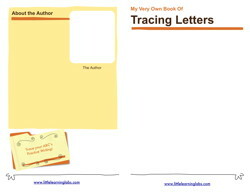 Then print the interior pages front and back and fold to make a booklet. 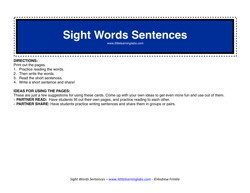 It takes 4 pieces of copy paper, if done correctly, to make this booklet. You get quite a bit of mileage for 4 pieces of paper!